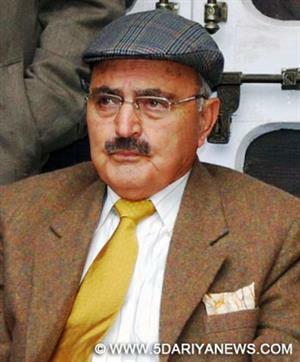 National Conference Monday said that PDP-BJP coalition government will not only prove beneficial for the people of Jammu and Kashmir but this government will also be a strong one that could face any challenge in an articulate manner. National Conference Additional General Secretary, Dr Sheikh Mustafa Kamal told CNS that people in Kashmir have voted for PDP and this party should not waste the time of people and should not form the government with BJP. “People want government in the State and if it doesn’t get formed in time then PDP should be blamed for this. PDP secured the mandate of people in Kashmir and same is the case with BJP in Jammu. I think PDP-BJP coalition government will prove beneficial for the people of the state in the long run,” Kamal said. He added that there are no permanent foes and friends in politics and both the parties should join hands to give people a better and strong government. “Who attacked whom and who said what during the time of campaigning should not be taken seriously. PDP should not play with the aspirations of the people and this party should end the deadlock as early as possible,” he said adding that a strong government is always good for the democratic setup in the country.